We are excited to announce another new Good Food Workshop on Tuesday 9th October. For those of you looking to learn more about the art of butchery and sausage making, Marc-Frederic, Britain's only French registered "Boucher - Charcutier - Traiteur" and published author will be hosting this day-long workshop that will focus on whole animal butchery and sausage making. 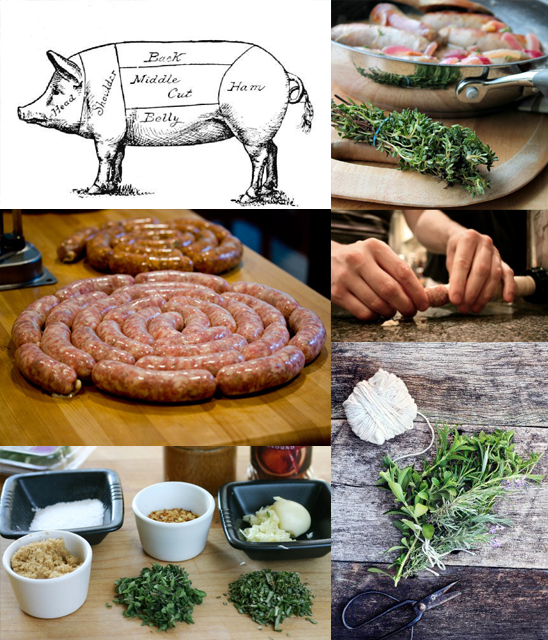 You will learn all the tricks of the butchery trade including how to choose, cut, break down a carcass and select the right meat for sausage making. Marc will then teach you all the techniques for mixing and stuffing your own sausages, how to use the equipment and come up with your own uniquely flavoured sausage recipes. Clavelshay Barn will also be serving a scrumptious lunch, including our own homegrown vegetables, free range pork and local seasonal ingredients from the Somerset Region. To find out more go to our website and if you are interested in attending this workshop, please contact Nadine at events.clavelshaybarn@gmail.com. We will be adding new Good Food Workshops in the coming weeks, so check in often!